Complete, professional, billable preparation for your witnesses! Proper preparation of your client prior to their deposition can prevent mistakes that can cost you the trial or hurt your settlement. This DVD is designed with your client in mind; watching it helps your client prepare for the deposition experience, know what to expect, and understand the "do's and don'ts" of being deposed. Save your time by using this billable tool to prepare your client. 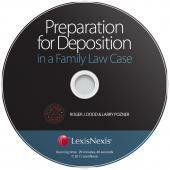 Help your clients help the case — prepare them for deposition. 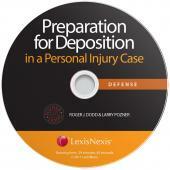 Authored by long-time Lexis authors Roger J. Dodd and Larry Pozner. See the entire Pozner & Dodd portfolio plus their upcoming speaking engagements here. ROGER J. DODD tries and consults on cases of all types, personal injury, commercial, civil and criminal throughout the United States and beyond. He has active offices in Park City, Utah, Oklahoma, Georgia and Florida. With fewer and fewer trial lawyers with experience he is called on continuously because of his more than 42 years experience in trying cases of all types. He has been board certified by the National Board of Trial Advocacy in civil trial practice for more than 21 years and was so certified in criminal trial practice for more than 20 years. One of his most recent consultations involved a case in London, England. LARRY POZNER proudly traces his roots to the Colorado Public Defender system. His career has included a broad range of criminal cases, representation of plaintiffs and defendants in commercial matters, and several years representing the Denver Broncos Football franchise. Larry's programs on cross-examination and trial tactics have taken him to 48 states, across Canada, and strangely, to Brazil. His full day seminars on cross-examination can be tailored for separate audiences: criminal defense, civil plaintiff, civil defense, family law, etc. 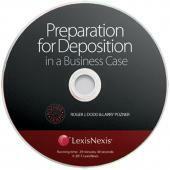 These power-point programs are built around the Chapter Method of cross-examination and include a great many examples of the techniques. Larry is a past president of the National Association of Criminal Defense Lawyers. He is listed in the Best Lawyers in America in Bet-the-Company Litigation and in Criminal Defense, both street crimes and white collar matters. For information on his CLE programs he can be contacted at Lspozcle@gmail.com. For Larry's upcoming seminars, see the Seminar and Speaking Schedule on the Pozner and Dodd product page, Pozner & Dodd.